The neodymium pair work in unison with the headphone's acoustic chambers and isolated closed ear cup design to deliver booming bass, clear mids and crisp highs for sound that's optimized for music and pitch-perfect for gaming. With plush leatherette ear cushions lining the ear cups, a fully adjustable headband and a lightweight, foldable design, the Razer Kraken Forged Edition headphones are designed for extended use. The Razer Kraken Forged Edition also includes a swappable cable with an in-line microphone, giving users the versatility to easily convert it into a headset for gaming or telephony. 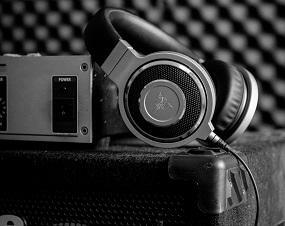 Sound quality, comfort and durability are hallmarks of a good pair of headphones. With an ultra-premium fit and a durable, brushed aluminum finish, the Razer Kraken Forged Edition Music and Gaming Headphones offer full bodied sound that’s built to last. The Razer Kraken Forged Edition is outfitted with dynamic, custom tuned 40mm neodymium magnet drivers delivering booming bass, clear mids and crisp highs – producing a sound signature perfect for music and gaming. The Razer Kraken Forged Edition is crafted with ear cups that are machined out of aircraft-grade aluminum and finished with a sleek brushed metal texture for a durable, lightweight form factor. It is then carefully hand-assembled with high quality aluminum and leatherette parts to ensure that the Razer Kraken Forged Edition is built to last. 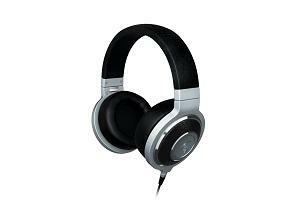 A comfortable pair of headphones makes you want to keep them on all the time. With plush leatherette ear cushions lining the ear cups, a fully adjustable headband and lightweight, foldable design, the Razer Kraken Forged Edition headphones are ones that you can wear for hours on end. Packed in a hard carrying case for portability and storage, the Razer Kraken Forged Edition also includes a swappable cable with an in-line microphone, giving you the versatility to use the headphones for music or gaming. To equip the Razer Kraken Forged Edition with a studio-grade sound, our audio engineers spent countless hours fine-tuning the 40mm neodymium drivers to perfection. As a result, the exceptional drivers work in unison with the headphone’s optimized acoustic chambers and isolated closed ear cup design to deliver booming bass, clear mids and crisp highs – a sound signature perfect for music and gaming.